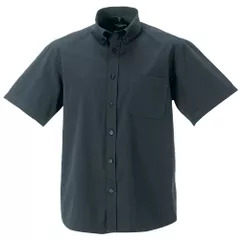 Collar S - 14.5/15”, M - 15.5”, L - 16/16.5”, XL - 17/17.5”, XXL - 18”, 3XL 18.5/19”, 4XL 19.5”. 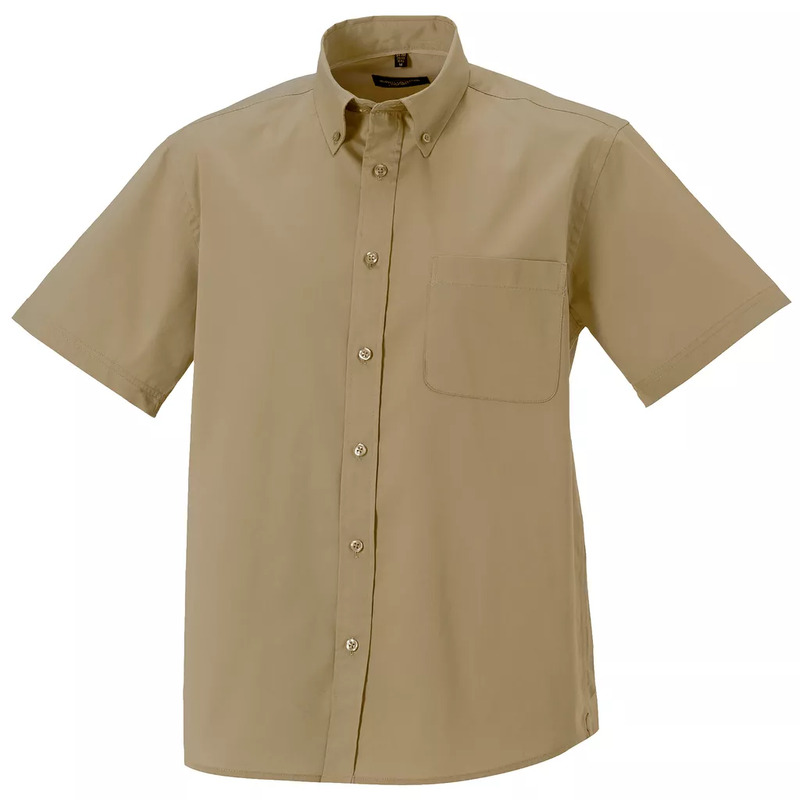 Casual short sleeve shirt, classic style in a soft to touch peached fabric. 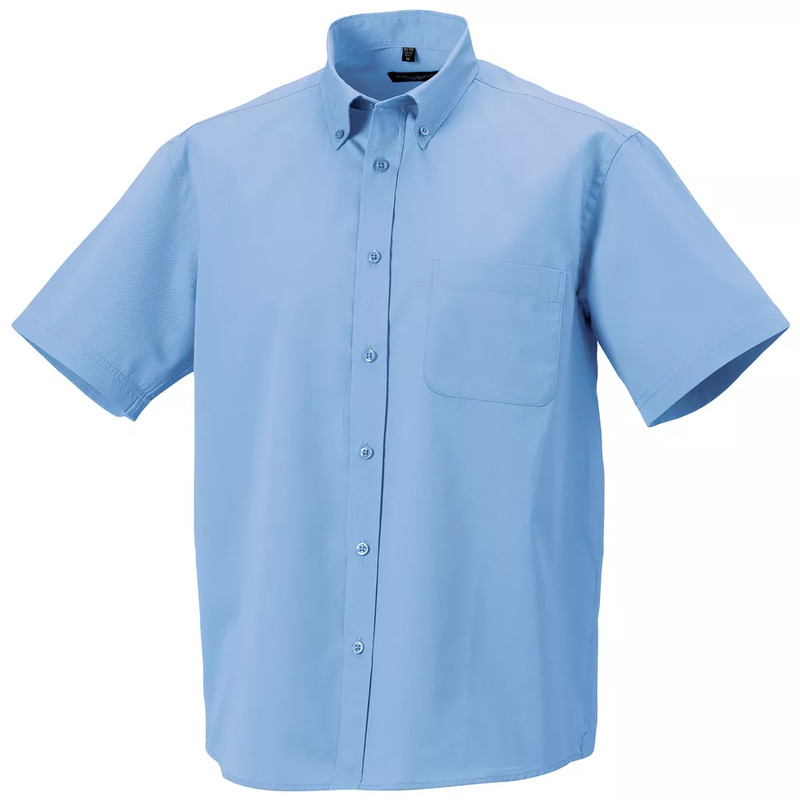 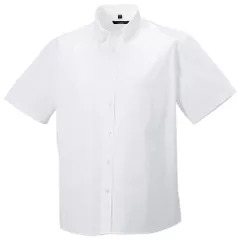 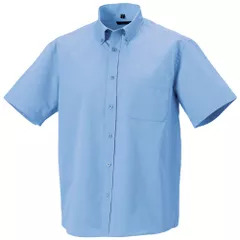 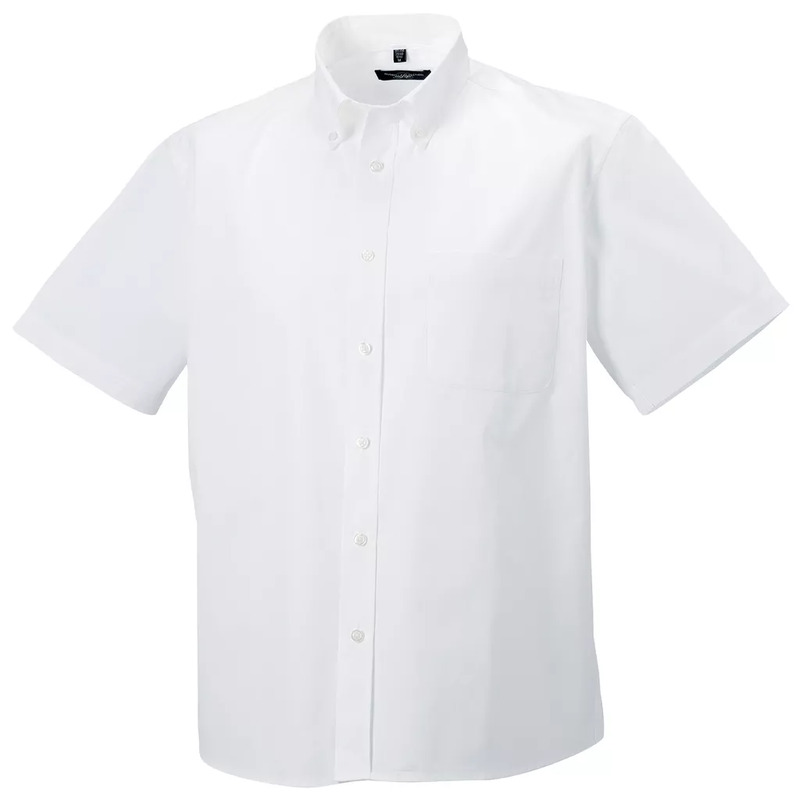 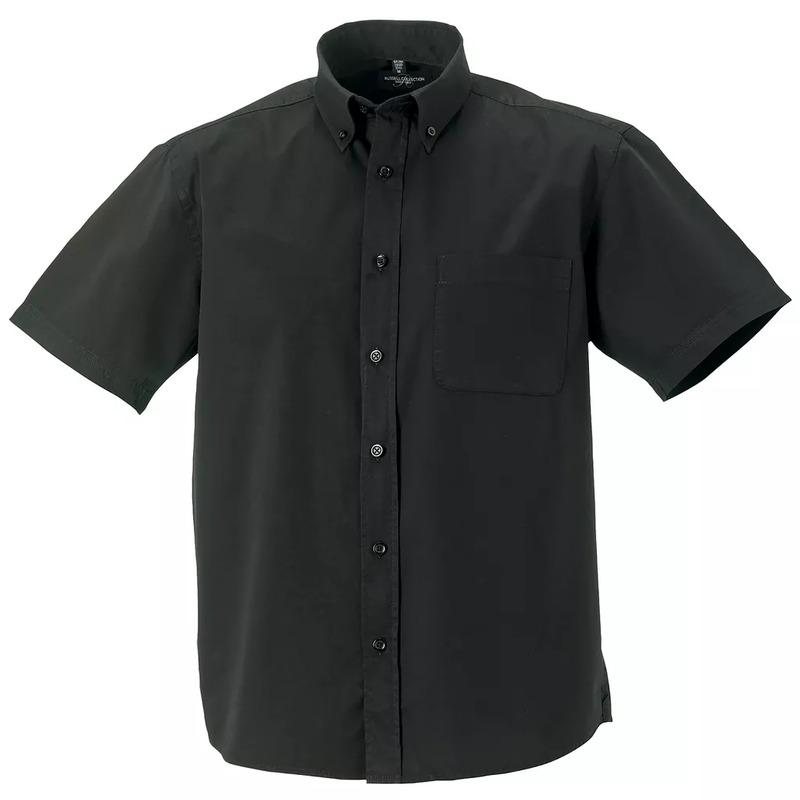 Relaxed button down collar with a dye-to-match herringbone tape along neck seam, left chest pocket and fabric patch tab on back yoke and side seam hem. Fabric 100% Cotton Twill Weight 130gsm.